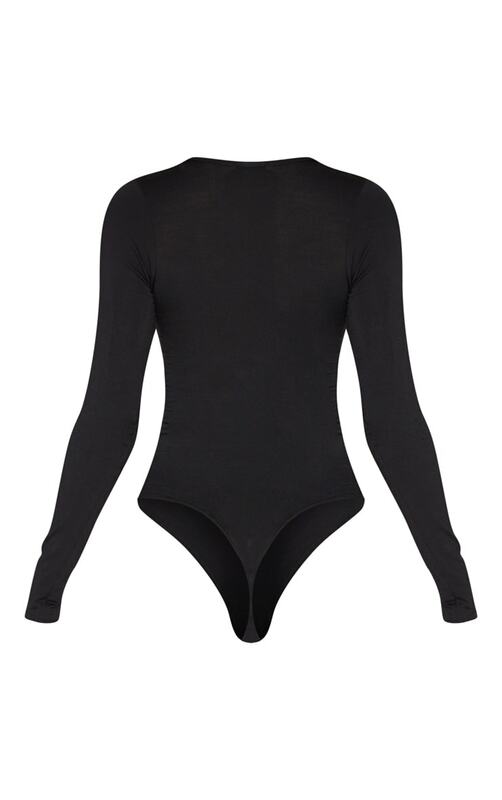 Keep it simple this season with this basic bodysuit. 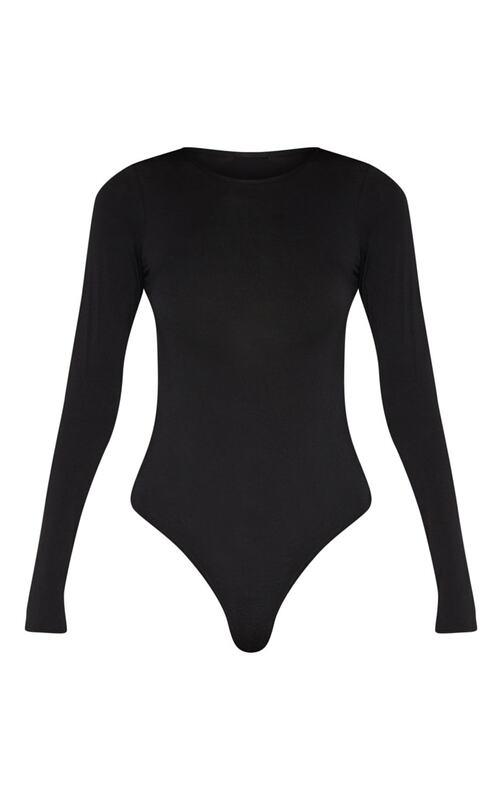 Featuring a black fabric with a crew neckline, long sleeves and popper fastenings, we are obsessed. Team with a leather skirt and sock boots for day drinks with the dolls.